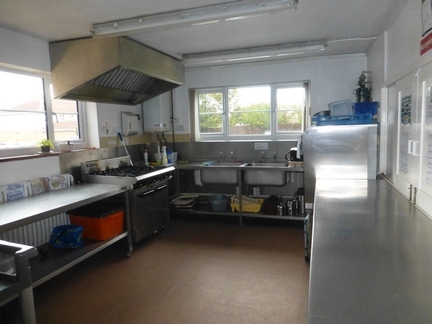 Apart from the church itself (see left), Immanuel is blessed with some extremely good premises and its facilities are regularly booked by outside community groups as well as church organisations. Part of our popularity may well be due to the excellent car park to the side of the church which can take up to 50 vehicles. 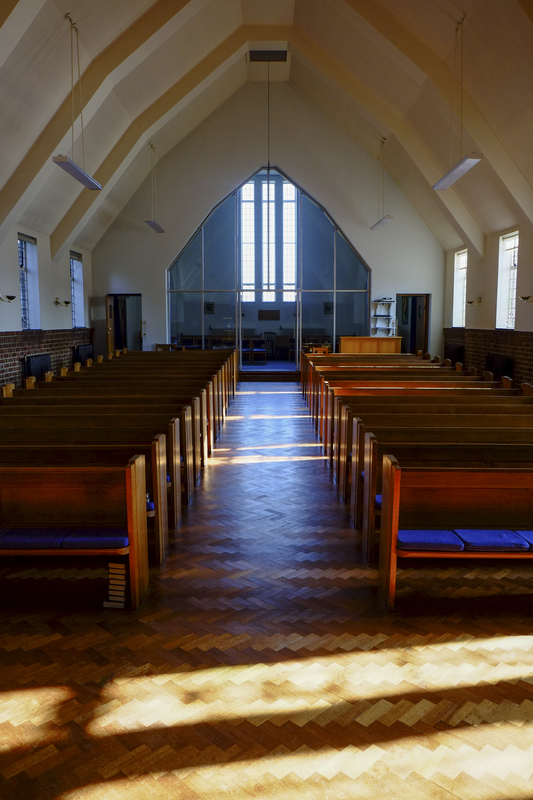 The church and ancillary rooms have ramps for wheelchair access and there is a wheelchair lift which enables wheelchair users or those unsteady on their feet to move between the Church and rear premises. 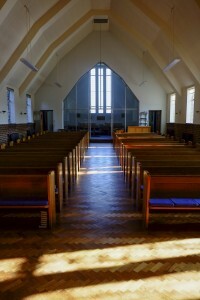 In addition there is a hearing loop in both church and hall for those who are hard of hearing. 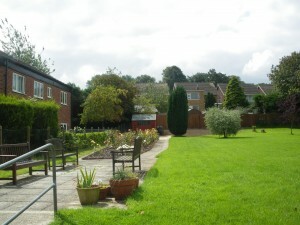 To the rear of the building is an attractive well-maintained garden and lawn area which proves a great setting for garden parties and similar events. 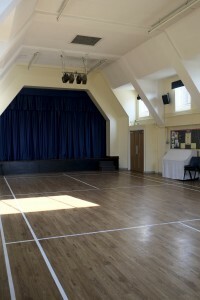 Rooms available for booking (for one-off events or regular meetings) include our Hall and stage. The Hall can seat up to 150/ 160 people. 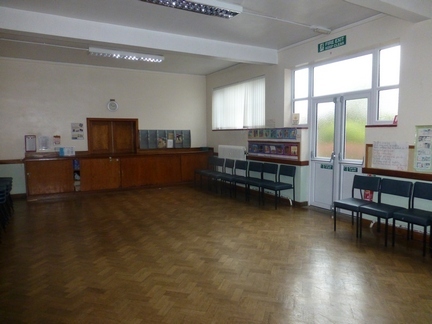 The church Hall which has direct access to the lawn and Garden Room. 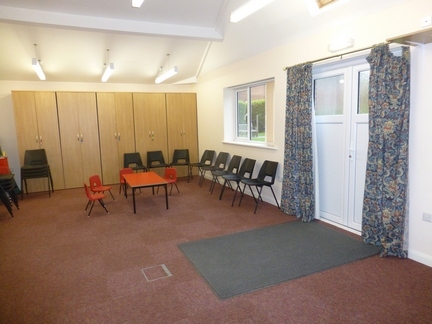 There are three additional meeting rooms, each capable of accommodating 30/40 : the church ‘parlour’, the ‘choir room’ and the ‘garden room. In addition we have a small committee room or lounge that will take 10/12 people in more comfortable seating. The premises are served by an excellent kitchen which includes access to crockery. 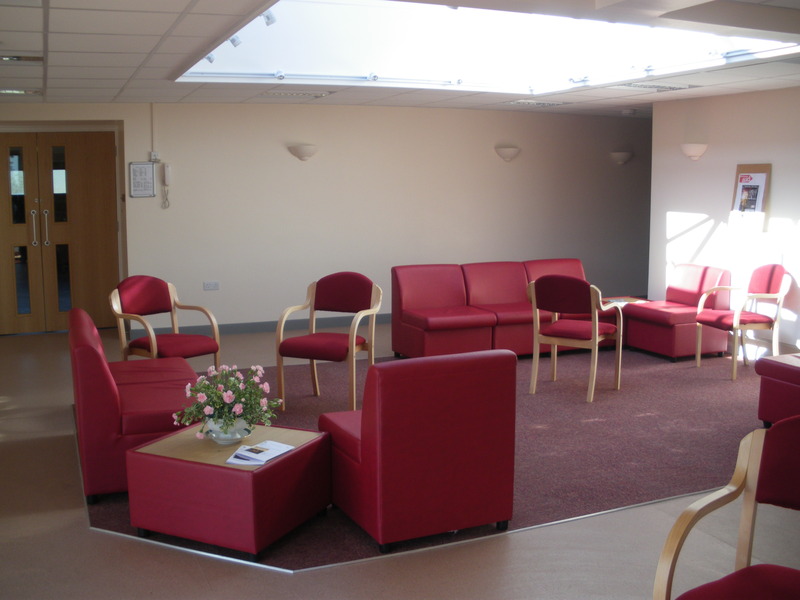 Finally, the entry to all the ancillary rooms is directly from the car park via our entry foyer, which itself makes a pleasant meeting point. Please only complete the application after reading, understanding and accepting these important documents.